Avanti Resort on International Drive in Orlando. Image credit: Avanti Resort. What Is a Universal Orlando Partner Hotel? 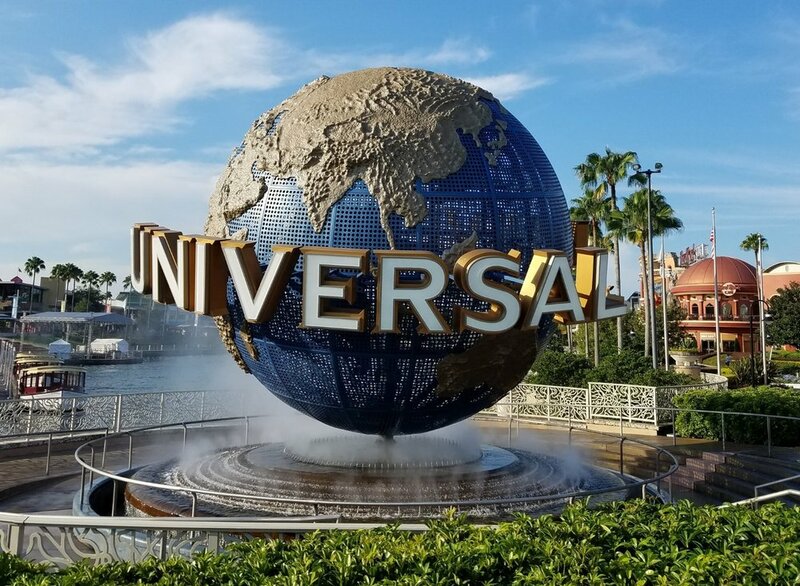 When you book a Universal Orlando Vacation, there are two basic types of hotels that you can choose from: Universal's On-Site Hotels and Universal Orlando Partner Hotels. Universal's On-Site Hotels are located on Universal Orlando Resort Property. Universal Orlando Partner Hotels, on the other hand, are off-site hotels. These hotels were chosen as partners because of their quality and proximity to Universal Orlando theme parks. Most of the Universal Orlando Partner Hotels are located with a mile or two of Universal Orlando, but there are a couple of hotels that are 16-17 miles away. Value: These hotels have an outdoor pool, breakfast area, and guest service desk. Additional amenities may also be available. Some Value Partner Hotels offer low-priced accommodations. Moderate: These hotels usually have an outdoor pool, breakfast area, full-service dining, concierge desk, room service, and bell services. Additional amenities may also be available. It is sometimes cheaper to stay at a Universal Orlando Partner Hotel than an On-Site hotel. Most of the Universal Orlando Partner Hotels offer complimentary scheduled transportation to and from Universal Orlando Resort. Guests who stay at Universal Orlando Partner Hotels can sometimes receive special discounts on merchandise, food, and non-alcoholic beverages at select locations in Universal's theme parks and Universal's CityWalk. These discounts may come in the form of coupons (picked up at the hotel), free hot breakfast, or free dining plans (which could include free lunch and snacks at Universal). Universal's On-Site Hotels offer early admission to The Wizarding World of Harry Potter, which can help you avoid long lines at some of the park's most popular rides. This benefit is not always available for guests of Universal Orlando Partner Hotels. Although most Universal Orlando Partner Hotels offer complimentary transportation to and from Universal Orlando Resort, this transportation runs on a schedule, which means you can't easily come and go from the park whenever you want to like you could if you stay at one of Universal's On-Site Hotels. Furthermore, the shuttle bus will not wait for you since it is on a schedule; if the bus is full or if you show up at the wrong time, you will need to find alternative transportation. Universal's On-Site Hotels offer world-class accommodations. Although many of the Universal Orlando Partner Hotels are very nice, not all of them are on par with the kinds of accommodations that you might find at Universal's On-Site Hotels. It is important to compare hotel options to ensure that you get the best benefits when staying at Universal Orlando Partner Hotels. When you are looking at Universal Orlando Partner Hotels on a reservation site like UniversalOrlandoVacations.com, you should look specifically for Bonus Benefit Hotels. These hotels offer bonus benefits like food and merchandise discounts. 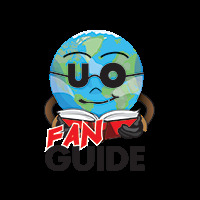 It is also important to look at Included Values, which will help you determine whether or not you get early admission to Universal theme parks or other values with your hotel stay. Keep in mind that Universal Orlando Partner Hotels periodically offer special promotions throughout the year. Look for hot deals and limited time offers before you book your room. A special promotion could help you get a free night with your stay or other perks. Finally, don't assume that the best available deal is at a Partner Hotel; some of the rooms at Universal's On-Site Hotels, especially Cabana Bay Beach Resort, are very fairly priced. Take time to compare rooms, benefits, and prices to determine the best value and fit for your travel needs. Many people want to know if it's possible to walk to Universal theme parks from Universal Orlando Partner Hotels. In some cases, the answer is yes. But in other cases, it just isn't practical. Although some of these hotels are within a mile or two of the theme parks, the walking distance could be farther because there isn't a straight path from the hotels to the parks. In some cases, there are also major roads, including eight-lane roads that need to be crossed. While this is possible, it can be difficult for some people. Comfort Inn and Suites has standard rooms, suites, an outdoor pool and an on-site business center. Comfort Suites Orlando has standard rooms, suites, and an outdoor pool. Fairfield Inn and Suites International Drive/Convention Center has standard rooms, family suites, executive suites, kitchen suites, and an outdoor pool. Fairfield Inn and Suites Near Universal Orlando has standard rooms, suites, and an outdoor pool. Hampton Inn Orlando Near Universal Boulevard/International Drive has standard rooms, suites, an outdoor pool, and a sun deck. Holiday Inn Express and Suites Nearest Universal Orlando has standard rooms (connecting suites are available) and an outdoor pool. LaQuinta Inn and Suites Orlando Convention Center has standard rooms, suites with sleeper sofas, an outdoor pool, and a spa. Rosen Inn International has standard rooms with two double beds, a family buffet restaurant, two heated pools, and a children's wading pool. Rosen Inn at Pointe Orlando has standard rooms with two double beds, three swimming pools (two are heated), and a children's playground. Rosen Inn has standard rooms with double beds or a single king bed, an outdoor pool, and a Japanese steakhouse with a dinner show. Standard double queen room at Avanti Resort. Image credit: Avanti Resort. Avanti Resort is a leisure resort with standard rooms, suites, a zero-entry outdoor pool, a game room, an outdoor recreation area, and a pool bar with live music and DJ parties. Best Western Orlando Gateway has standard rooms and suites, an outdoor pool, and lighted tennis and basketball courts. CoCo Key Hotel and Water Resort has standard rooms, studio rooms, family rooms and a 54,000 square-foot canopy covered outdoor water park. Water park admission for up to four people is included in the room price. Doubletree by Hilton at the Entrance to Universal Orlando has standard rooms, suites, a convention center, an outdoor pool, and multiple dining options. This hotel is closer to Universal theme parks than any other Universal Orlando Partner Hotel. Drury Inn and Suites Orlando has an indoor/outdoor pool, standard rooms with a single king bed or two queen beds, and two-room suites. Every room at Embassy Suites International Drive/Jamaican Court is a two-room hotel suite with a private bedroom and a separate living area with a sofa bed, wet bar, and refrigerator. Amenities include an outdoor pool, business center, and a nightly evening reception with complimentary appetizers and beverages. Four Points by Sheraton Orlando International Drive has standard and deluxe rooms, an outdoor pool, meeting and event space, and other amenities like on-site dining and a business center. Hilton Garden Inn offers standard rooms with either a king bed or two queen beds. Each room has a mini refrigerator, microwave, work area, and coffeemaker. Guests also get access to an outdoor pool and a spot to play basketball. Most Universal Orlando Partner Hotels are located on or near International Drive, but not the Holiday Inn Club Vacations - Orange Lake Resort, Orlando. This resort is closer to Disney than Universal. Accommodations range from small studios to villas with one to four bedrooms. Some of the amenities that you'll find here include a 12-acre lazy river and pool, water slides, 80-acre lake, multiple golf courses, playgrounds, and other opportunities for recreation. The Holiday Inn and Suites Across From Universal Orlando are actually located across the street from Universal Orlando theme parks. Room options include standard rooms and suites with separate living and sleeping areas. This hotel also has several pools, including an outdoor pool for all guests and indoor and outdoor pools for children. Homewood Suites by Hilton is an apartment-style, all-suite hotel with a pool, hot tub, and basketball court. Each one-bedroom suite includes a kitchen with a full-sized fridge, a two-burner cooktop, and a microwave. Guests can also have the kitchen stocked using the hotel's complimentary grocery service. Hyatt Place Orlando is a basic hotel with a heated outdoor pool and standard rooms that have either a king bed or two double beds. The Mystic Dunes Resort and Golf Club and is farther away from Universal theme parks than any of the other Universal Orlando Partner Hotels. This family resort has condo-sized vacation villas that sit on over 600 acres of rolling hills. Amenities include four resort pools, a two-story water slide, private cabanas, and a 7,012 yard championship golf course. 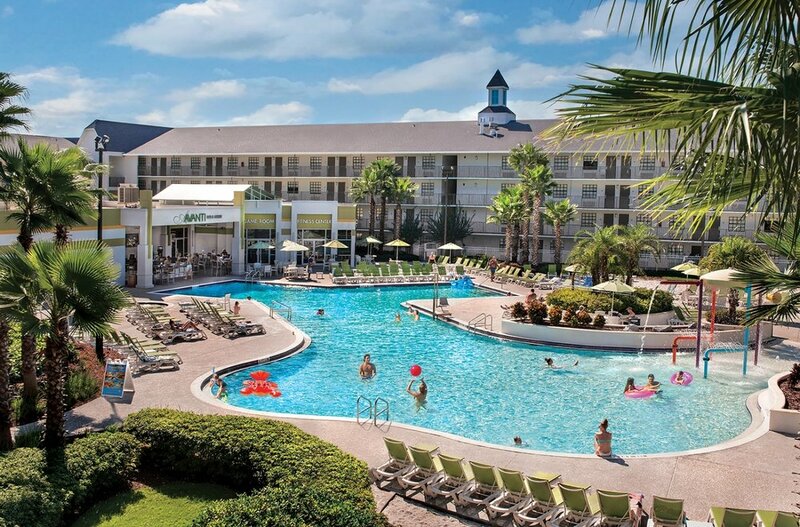 Orlando International Resort Club (Offered by Wyndham) is a resort condo with two-room suites that sleep six. Each suite has a sleeping area, dining area, living area, multiple bathrooms, and a full kitchen. Some of the resort amenities include a pool, playground, tennis courts, basketball, shuffleboard, and a picnic/BBQ area. The two-bedroom villas at Westgate Palace Resort are much larger than typical Orlando hotel rooms and include fully equipped kitchens. Resort amenities include a pool, basketball and volleyball courts, a marina, game room, and regularly scheduled activities. Westgate Lakes Resort and Spa offers villas with one, two, three, or four bedrooms. They also have a more modest studio villa that is still larger than the average hotel room. Resort amenities include multiple pools; basketball, tennis, and volleyball courts; mini golf; bike and boat rentals; and other activity options like fishing and shuffleboard.